I am Laurence, co-owner with Pat of All Canines Great and Small, based in Havenstreet, Isle of Wight. 20 years in the planning, I consider myself incredibly lucky to be doing my dream job of working with dogs. Truly fascinating animals, I have the honour and privilege to be ‘dad’ to two rescue dogs ‘Cory’ and ‘Bea’; you can read their own stories on their pages on this site. My main interests are in dog training and I have been very lucky to work with some of the best trainers in the business. I continue to add to my knowledge daily, via educational seminars, training days and various courses and have also attended many interesting events. 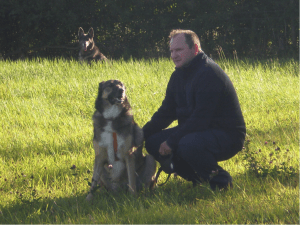 I particularly enjoyed gaining skills from attending instructor courses at IMDT, BIPDT and Agility Club. 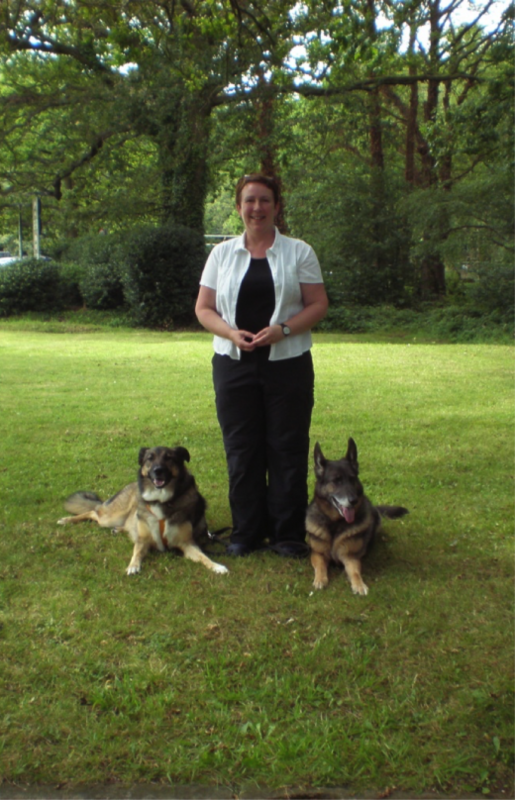 A sample of some of the other courses I have benefitted from include ‘Dog Law Unleashed’ with Canine and Feline Behaviour Association, ‘Rapid Recall’ with Nando Brown, ‘SMART Dog Training’ with Nina Bondarenko and Tellington TTouch. I have a sound base of modern techniques. Some areas covered will be general pet obedience, FUN agility, scent work and specific behavioural problems. I am also a qualified canine first aider. Currently I train pet and companion dogs to allow them to have a great life. We love our dogs and want to share this passion with You and Your dog giving you the skills and support to take you both through many happy years of fun and companionship. I am Pat, co-owner with Laurence of All Canines Great and Small, based in Havenstreet, Isle of Wight. Dogs hold a particular sway for me starting with Collies, others of dubious parentage and to our current dogs which are a female German Shepherd; ‘Bea’ and a male Rough Collie x Malamute x German Shepherd??? ‘Cory’. To continually enhance my knowledge and animal experience I have attended various full-time and part-time courses, seminars and training days. Some of which include ‘Dog and Cat Behaviour’ at the College of Animal Welfare, ‘Animal Care’ at Oaklands College, which included dogs and other domestic animals, equine, exotics and livestock - my work experience for this course was completed at a commercial dog kennels, with grooming facilities and a cattery. A ‘Dog Handlers’ course with the BIPDT, 'Tellington TTouch', 'SMART Training' and 'Dog Grooming' at Oaklands College have also added greatly to my knowledge. I am a qualified Canine First Aider. 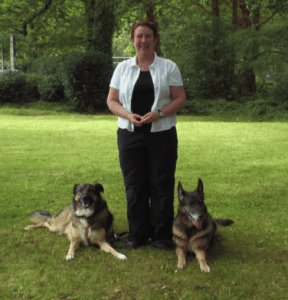 Between us we have a wealth of knowledge and experience that we are continually expanding on; allowing us to provide the very best of care for Your Dog.